I'm an iPhone guy. I have been for ten years and I don't see myself ever going back to the other side. That said, I can't help but be impressed with LG's upcoming V40 smartphone, because, among other things, it has five cameras. 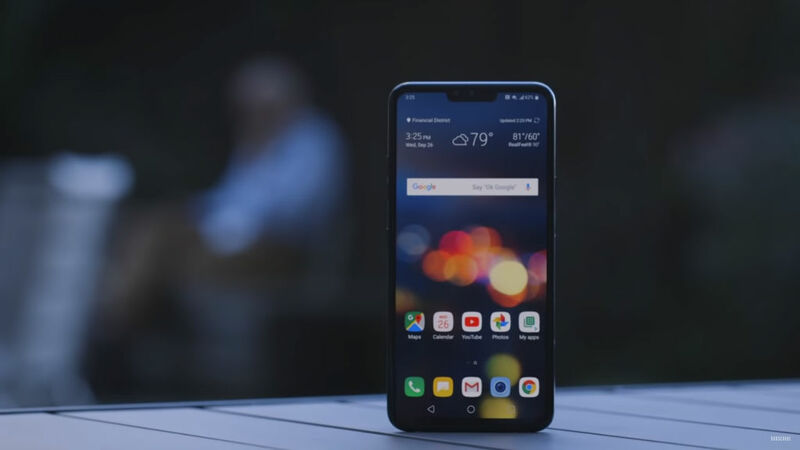 Though the two front-facing cameras, one of which is a wide-angle, can be rightfully dismissed as a bit gimmicky, the three rear-facing cameras could be a game-changer for smartphones. What's so impressive about the V40's triple threat rear-facing cameras is that they give you so many more options for photography. In addition to the 12-megapixel main standard lens and the 16-megapixel wide-angle lens, you also have a 12-megapixel telephoto lens that gives you 2x zoom. That zoom factor, by the way, is lossless! With three cameras, you can immediately change the composition of your shots by simply switching between the live view from each camera. Plus, there's no need for bulky add-on lenses to get standard, wide-angle, and telephoto shots any longer. But having a telephoto lens on the phone isn't the only big camera improvement. The wide-angle lens offers an aperture of f/1.5, which is the largest aperture offered by any smartphone on the market right now. That means that this phone should be able to outperform the likes of Apple in low-light photography tests. As exciting as the prospect of three rear-facing cameras might be, LG has some trickery up their sleeves that will make these cameras valuable not just individually but together as well. That's because they've included a couple of features on the phone that allows you to use all three rear-facing cameras simultaneously. The first feature, called portrait shots, uses two of the three lenses to differentiate the subject from the background. The result is more natural looking bokeh in the background. The second feature, called Cine Shot, utilizes all three lenses at the same time to capture still images with motion as well. Just hold the phone still for six seconds, point and shoot, and the V40 will give you a preview of the images. At that point, you can decide which part of the photo you want to have motion, as shown in the video above by SlashGear. Just a couple of years ago I would have never thought we'd see the day in which smartphones started to have five cameras. 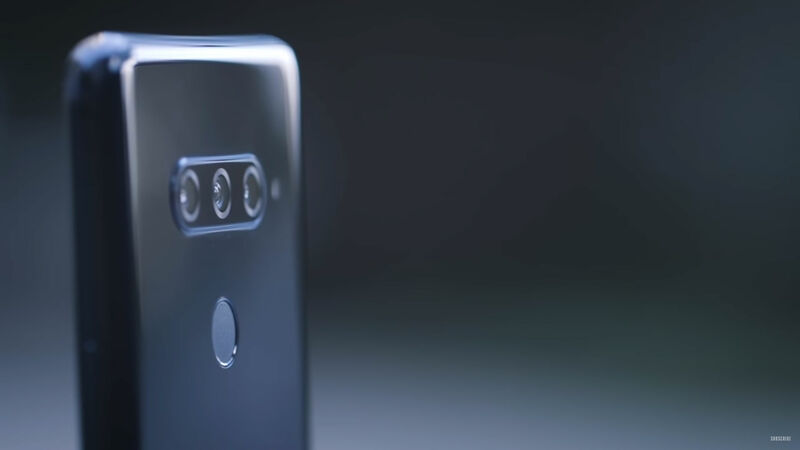 But based upon what I've seen so far and the positive reviews the V40's camera system has gotten, I wouldn't be surprised if in a couple of more years, five cameras are standard on higher-end smartphones. And to think I bought my first digital camera just 15 years ago...look how far we've come! 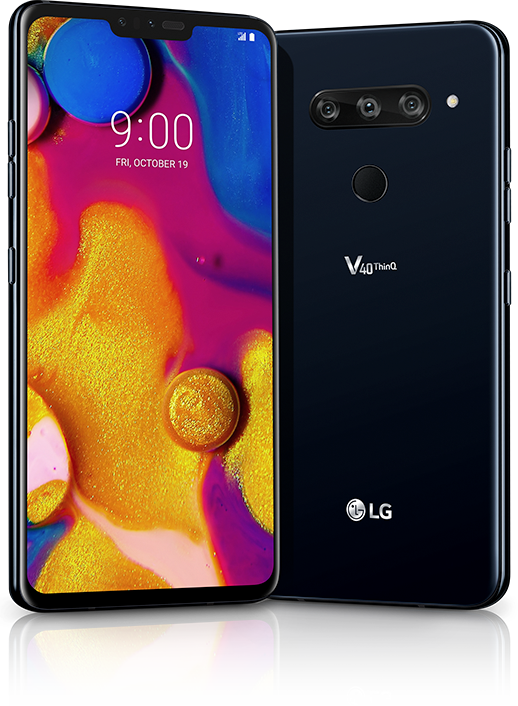 The LG V40 is available for pre-order and will be released October 18, 2018.